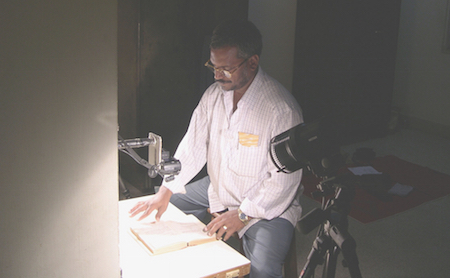 In memoriam G. Ravindran (1960–2015). 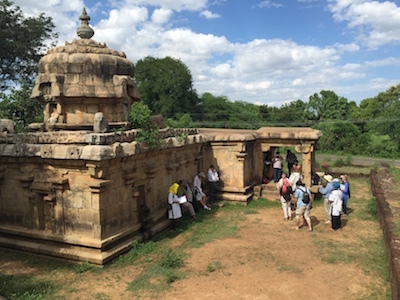 S.L.P. 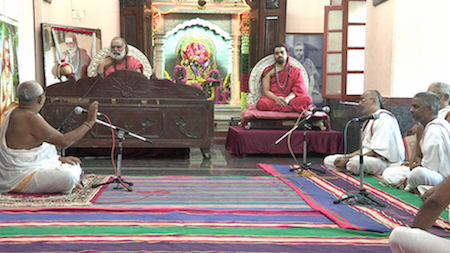 Anjaneya Sarma (left) adressing the learned assembly in Shringeri: Bhāratītīrtha-mahāsvāmi, Vidhuśekhara-Bhāratīsvāmi, Maṇidrāviḍa-śāstrigaḷ, Nāgarājabhaṭṭa, etc. 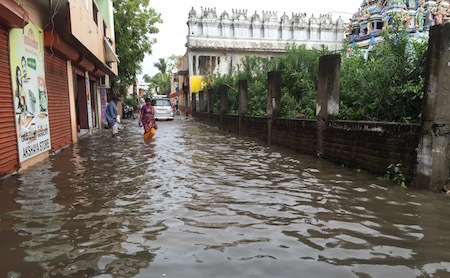 After the festival of Vināyakacaturthī, the temporary statues of Gaṇeśa were lowered into the sea behind the EFEO Centre in Pondicherry this year. 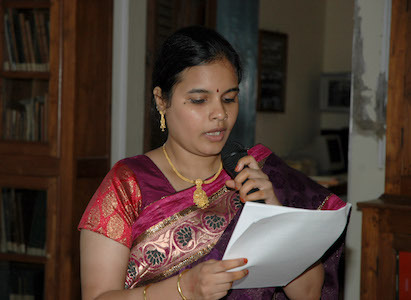 Dr. S.L.P. 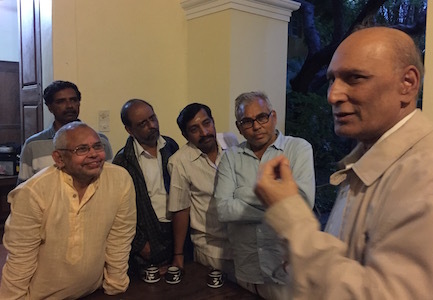 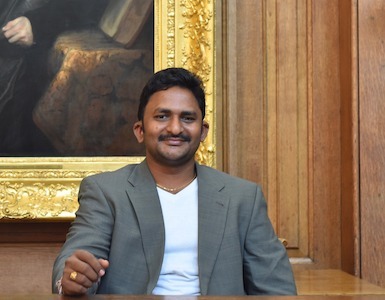 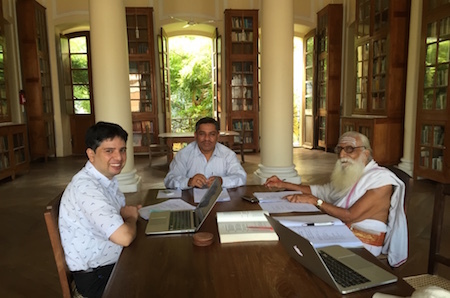 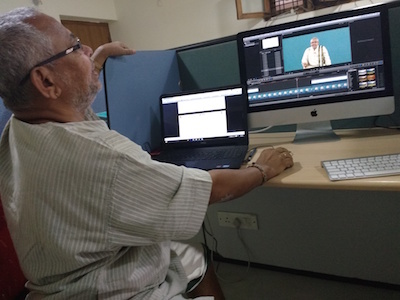 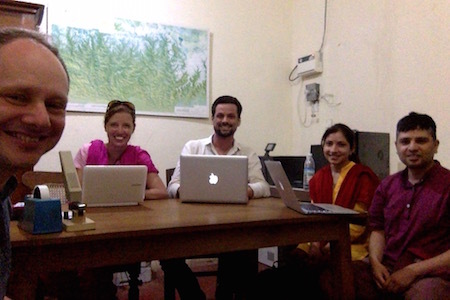 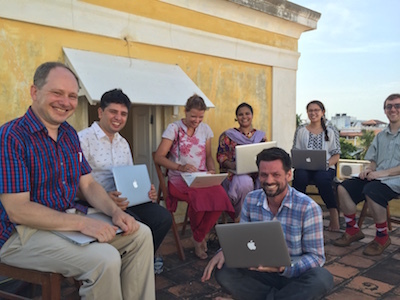 Anjaneya Sarma has produced a number of digital classes of Sanskrit grammar for the initiative "EPG pāṭhaśālā" (Electronic Post-Graduate College). 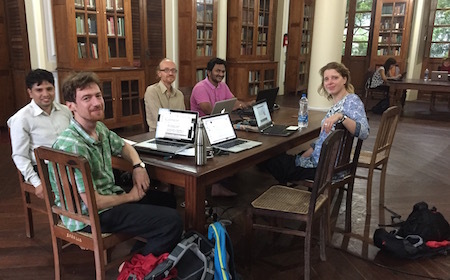 A number of summer visitors have joined the afternoon Prakrit readings, including Christopher Fleming, Phoebe Hunt and Olivia Porter, all from Oxford. 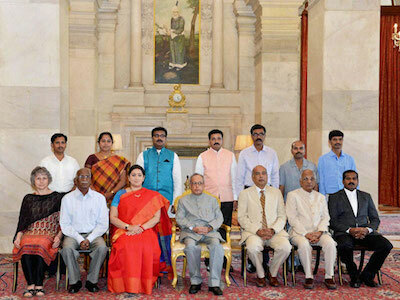 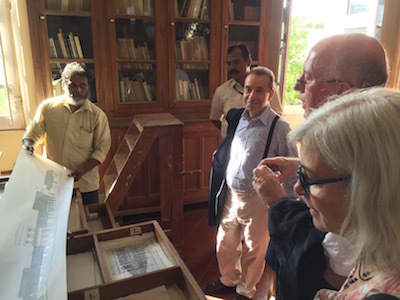 Eva Wilden is in Delhi to receive from the President of India the “Kural Peedam” award, for her work on Classical Tamil in 2011–2012.